if you want to enable zoom and your device does not support driver zoom, it makes sense to make input size bigger than the output size. Virtual PTZ also works best if the input resolution is set higher than the output resolution. Picture Quality: this setting is used for jpeg and motion jpeg images. Lower values mean lower quality. 40 is the recommended value. 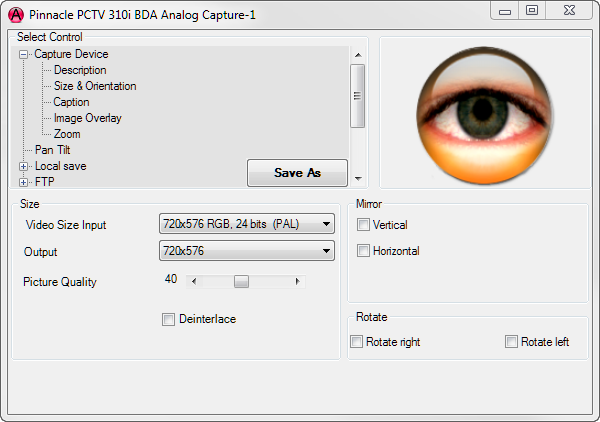 Deinterlace: the TyCapture interface offers the Deinterlace option for capture devices with a TV tuner.